Joe Paterno was once revered for his accomplishment in life beyond the football field. Known to many as a leader, mentor, and father during his 61-year tenure at Penn State, JoePa left behind a polarizing legacy due to the child sexual abuse by former assistant Jerry Sandusky. 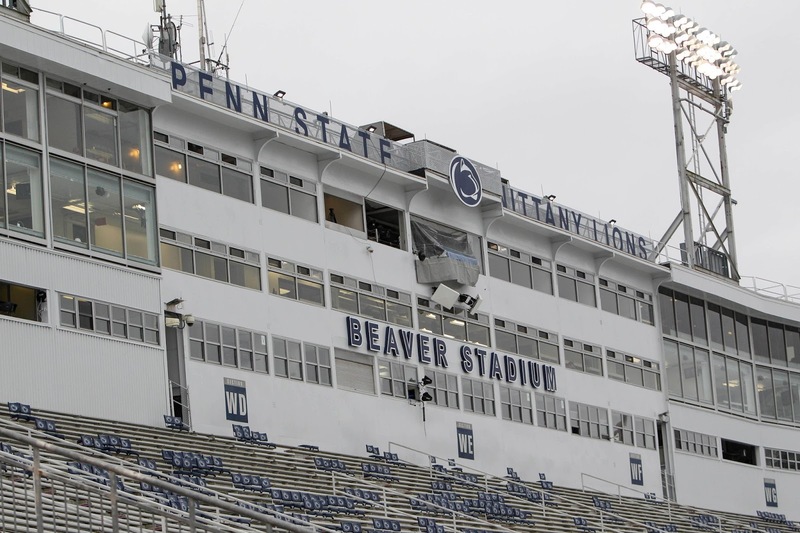 HBO films’ ‘Paterno’ captures the emotions of college football’s winningest coach through his record-breaking game and the scandal that rocked Happy Valley a week later. A story directed by Barry Levinson opens with Paterno undergoing an MRI before a transition to the events that occurred prior to his career coming to an end. Academy Award-winning actor Al Pacino masters the part of the 84-year-old Paterno, who fails to make sense of Sandusky’s actions, along with not losing focus of his responsibilities on the field. A sobering look at Paterno’s final weeks starts at Beaver Stadium in the 2011 Penn State-Illinois game as the rattled coach is calling plays from the booth after suffering a fractured hip in practice. Penn State’s elation of Paterno’s 409th career victory would be short lived with the storm that was brewing. Levinson tries to answer the question of when Paterno knew about the abuse Sandusky was inflicting upon his victims. Paterno told school administrators in 2002 of the Sandusky’s wrongdoing with a boy in the showers at Penn State’s athletic complex, but might have known about another instance nearly 30 years prior and wasn’t concerned enough to take the claims further. Administrators Tim Curley and Gary Schultz did not go forward with the information to Penn State president Graham Spanier or the authorities, placing an emphasis on a powerhouse’s winning program over the victims need for protection. A reminder that Paterno “had a job to do” with Nebraska being the next opponent on the schedule and less focused on the lives that were ruined potentially under the watch of him and others. Pacino channeled Paterno’s need for keeping it “about football” several times throughout the film, even at one point taking criticism from his family while seeming unobligated to even know what has happened out of his residence. A differing account was touched on by Joe’s wife, Sue Paterno, played by Kathy Baker, who walks Joe back through a couple past instances and draw the conclusion that Joe could not have known about Jerry’s involvement with boys, otherwise their own sons (Scott and Jay) wouldn’t have been playing in the pool around Sandusky. What’s hard to fathom is the length at which these crimes continued to happen over the course of decades. And how Sandusky was able to draft his own retirement terms when many university representatives including Paterno were aware of the abuse and aided in the cover up—another point shown throughout the film’s entirety. Sandusky was found guilty on 45 counts of child sexual abuse in 2012. He was sentenced to 60 years in jail, the maximum allowed under Pennsylvania’s guidelines. Curley and Schultz pled guilty to child endangerment and Spanier was tried and found guilty of the same charge. All three were sentenced to prison time along with a combined $60 million fine.